Which version are you using? There are 3 tactics posted on that link, FastPress, FastPress V2 and FastPress V3? Had a quick test of the FastPress and it seems really strong. My team is not that good and the tactic is not fluid and it was already out performing better teams. Anyone worked out the difference between the tactics? where can i find it can only find v2 ? Link for tactic to download is on top of the page. If you cannot find it, just use CTRL+F and search for "Fastpress V3"
cragswfc and Pampu7 like this. Classic 442 by El Capone from Portuguese forum. Pred 11th. Champ 12 weeks before... Lots of goals. Great tactic. davidbarros2 and tzahy like this. This tactic is very good . Testing this with my Norwich City side . V1 and V2 are the same tactic with small changes not underdog or favourite. V1 is awesome Gonna start a new save to give it a proper test, but it's like my 4321 on Steroids. Super powerful. broeckie84 Are you using OI's i could figure out what it was saying? 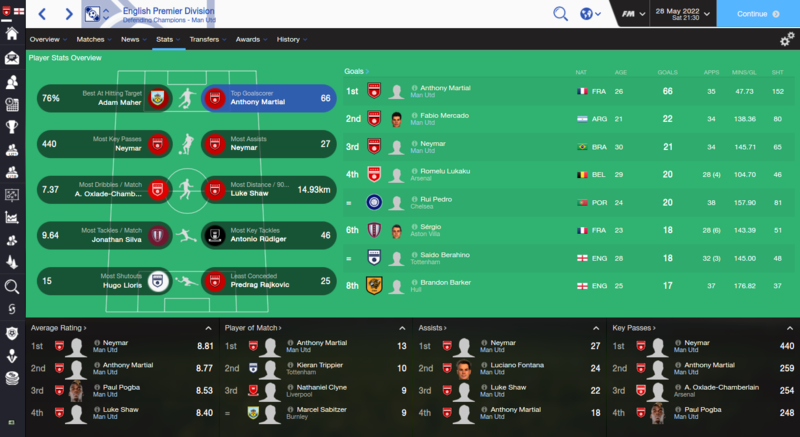 Pretty good, considering that I don't have any decent players for WB positions and lacking extra striker... I suppose, it would be really good with strong team and suitable players. I can not download the tactic as my anti virus wont allow it. Could you possibly upload elsewhere? But the results aren't mine, I just reposted the results from the author. cragswfc, Skiper and ManUnited20 like this. Post 559, is the post he quoted and it contains the tactic hes after. 4123 wb. I've tested this one, i can agree it works perfectly! is not the same in the screen shot on ther forum ?? this tactic is not when you downlaod it? WOW. Tested this V3 in both underdog and top team environments. INSANELY GOOD! It's true I've not played a full proper season with it, but I would risk to say this is probably the best tactic I've played so far. Yes even above Sunfire and Deadly Circle! Last edited by dimartino; 17/02/2016 at 11:22 PM. Well, results have improved as my team became more familiar with tactic. what training do you use and what about OI? what training did you use and did you use OI? Well, tactic is VERY VERY attacking. I sincerely thought that it will be a lot worse defensively. And it kinda was at the start, but got better with time. Also, tactic still isn't fully fluid and my WBs are kinda bad... So, I'm really looking forward to the next season with better suited team for this tactic. Last edited by ManUnited20; 18/02/2016 at 12:56 AM. lol i dont understand mate , where can i download this tactic on the screen ? i just downlaod at the same link is is a v2 still flat 4-4-2 not the 4-2-4 like on the screen? Last edited by ManUnited20; 18/02/2016 at 12:38 PM. I would say, give it more time, get the tactic fluid. 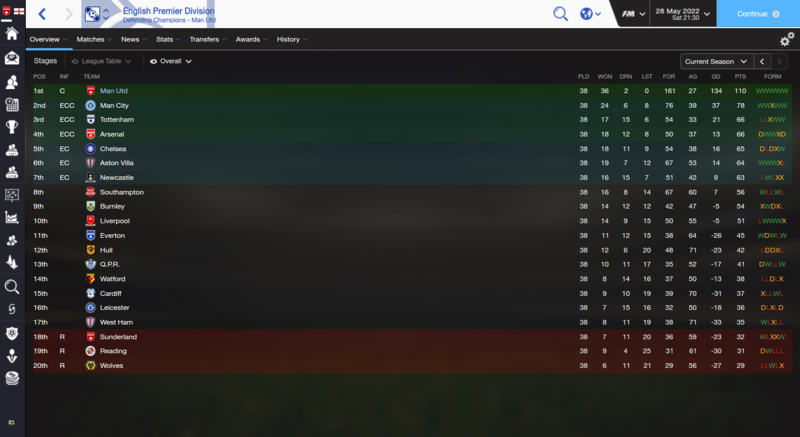 I'm in my second season and tactic is doing good. A little bit of rough start, but going rather well . 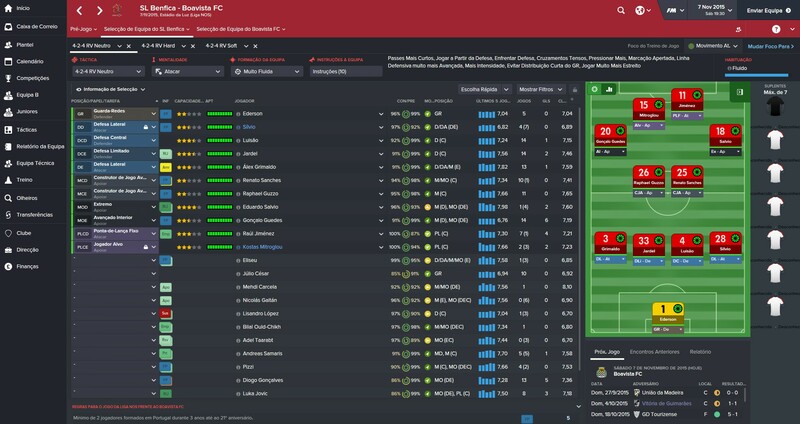 Also, my squad is really young, so I'm expecting even better results in the future. the tactic is almost fluid ? How many games have you played with the tactic? Also, I would recommend to change training to Def. Positioning. Last edited by Skiper; 18/02/2016 at 12:53 PM. Alright. Good luck with another tactic. Sometimes some tactics might just not work for you. Like Sunfire by TFF gave me mediocre results with two different teams, despite being praised as one of the best tactic this year. i now but i try all the tactic on this forum almost just not in this tread, noyhing work for me good since the 4-4-2 scholes cant tackle, i dont understand because i do exatly like the others. 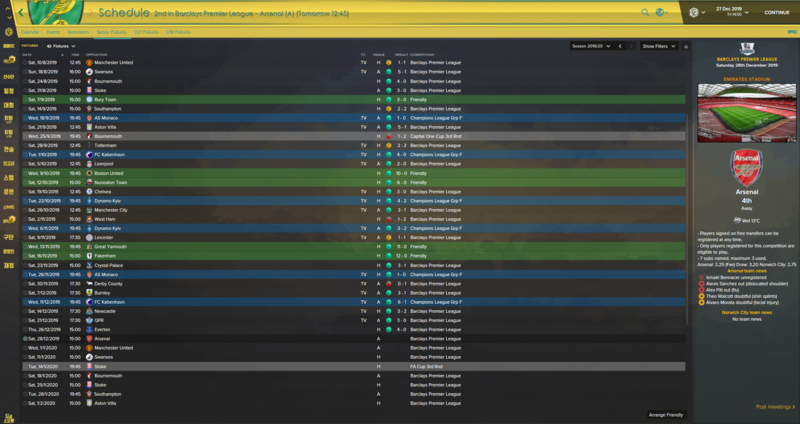 i try to make my own it works for 20 games and then stop working 14-5-1 win/draw/lose, its ridicilous! Last edited by ManUnited20; 18/02/2016 at 01:29 PM. Is anyone else trying this? I can't recommend it enough... VERY VERY GOOD! Been using the Fast press version 3 and I have to admit it's really inconsistent. Far too may draws, especially away from home. I assume you change mentality when away form home? Amazing start in Liga BBVA (pred 18th) using Classico V2. Do you have a link to the Classico V2 please? Thanks.